Were We Thrown Off Our Game? I had a person email me the other day and mention they were impressed that Tribulation-Now has been calling attention to the numbers 311 and it correlated to the March 11th earthquake disaster. However, it’s important for us all to remember that 311 can also mean “March of 2011” right? And it’s also really important to remember that nobody is making any “time based” predictions at all here. The undiluted truth is that these articles are driven by communications that come into Tribulation-Now, and other seemingly supernatural “coincidences”. Do I, and others, believe that the Lord is taking to us in a big way? Yes. Are we claiming supernatural prophetic knowledge of any kind … NO. It is possible something really amazing might break in the Month of March, but it’s just as possible that nothing at all will break in March. It is super-critical for all of us to remain extremely prayerful, praiseful, repentant and as “sin free” as we possibly can as we await the arrival of Yahushua Jesus our Messiah. Amen? We all need to humble ourselves before God and pray earnestly for the people of Japan. What a terrible thing for any people to endure. The “Intel” that is coming in continues to get darker, particularly in regard to the nuclear plants and their “state of health”. I know a little bit about nuclear “meltdowns”. For what it’s worth, I was a “Three Mile Island” evacuee. 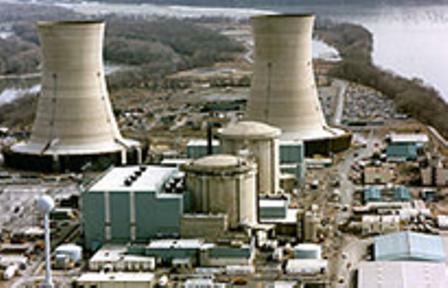 Back in 1979, the Three Mile Island plant had a cooling system issue that turned extremely ugly. I remember the media downplaying the incident and everyone wondering how bad it might be. But back then nobody had a clue about the concept of a meltdown. This was 7 years prior to Chernobyl. I remember working at a restaurant called “Lombardo’s at Locust Court” outside the capital building of Harrisburg, PA. I was a bus boy back then. Had to wear a gold jacket with a little black bow-tie. A couple nights after the Three Mile Island incident was initially announced, I remember the restaurant being a “mad house”. It was jam packed full of people I’d never seen before. It was reminiscent of the floor of the New York Stock Exchange. Turns out these people were reporters from all over the world. That was all the warning I needed. It was time to “get out of Dodge”. So I packed up a suitcase and headed to Woolrich, PA (in my opinion the coolest town in the country), and stayed with a good buddy of mine. That weekend we went to the movie theater. The “hottest” film out at the time was “The China Syndrome” staring Jane Fonda. The theater was packed. The movie was about a nuclear power plant that might go into “meltdown”. Yep! And during the movie I remember the entire theater gasping for air simultaneously as one of the scientists actually said something like “If this nuclear reactor has a meltdown, the core will melt it’s way down through the base of the plant, right through the ground, and into the water table, wiping out an area the size of the State of Pennsylvania“. 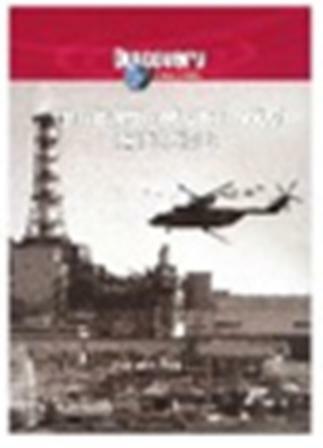 For anyone interested in learning about Chernobyl and what really happened in 1986, there is an online documentary available to watch here: http://topdocumentaryfilms.com/the-battle-of-chernobyl/. While the Chernobyl event was utterly horrible for many people, it’s important to note that the “core” did NOT meltdown into the “water table” under the plant. This was a huge learning experience for the entire world. The statements made in the China Syndrome movies were speculative and incorrect. It could have happened, but it didn’t. It’s also important to realize the Japanese power plants are far more advanced than the 1986 systems in Chernobyl. You can bet they have far superior structures and there is no doubt they also have far superior “event handling” capabilities, than they did during Chernobyl. This is NOT to say the situation in Japan is anything less than horrible. But we do need to keep ourselves as level headed as we can and continue to focus our prayer on the Japanese people and stop looking to buy Potassium Iodide tablets because we are afraid. When the Chernobyl reactor exploded, a horrific rainbow colored plume of nuclear fire and smoke rose up into the evening sky and filled the clouds with extreme levels of radiation, far worse than anything anyone is reporting about the Japanese reactors. The resulting clouds floated over Europe. The radiation clouds dispersed the contamination as they moved across the skies into Europe. Increased radiation levels (not deadly at all) were detected as far as Great Britain. But, for what it’s worth, there were no recorded or documented issues associated with any one’s health outside of the 150-300 KM radius of the Chernobyl Plant itself. Please pray for the people of Japan. While there are numerous credible reports that HAARP was at full power during the Japan Earthquake of 8.9 (some say 9.0), make NO MISTAKE these are seismic events that have EVERYTHING to do with Planet X, Elenin or maybe “both”. The entire world is shaking. The global seismic indicators are going crazy. The earth is wobbling like a drunkard. The entire Pacific rim is on fire. Volcanoes are erupting at an alarming rate. And did you already forget about Christchurch, New Zealand? The ONLY reason why the “forces of darkness” would crank up HAARP upon the fault zone around Japan is to “add insult to injury”. Amen? The more “they” can “freak us out” the better it is for them. I would not at all be surprised if most of them are already in their Deep Underground Military Bases watching us panic on their super-big screen LCD panel displays while “calling audibles”. Praise Jesus it was called to my attention that David Wilkerson evidently prophesied that Japan would have a major earthquake and soon afterward, the U.S. would have “ITS” largest earthquake in history. Now I have not had time to fully research this, however one of Tribulation-Now’s key contributors and long time readers, Kemer sent this quote to me yesterday. Thank you Kemer for this information. Also thank you Dorien and Cathy for your contributions on this too. For that matter God Bless EVERY ONE OF YOU!! If THAT doesn’t wake you up, nothing will. Amen Praise Jesus! Ever since all this 2012 stuff started to “heat up”, I have heard all sorts of things coming in from various folks. Some fear for their lives. Some don’t believe in the rapture and are stocking up with food supplies. Some are excited about getting off this rock and being with the King of Kings. Some are in denial of Planet X and debunk pictures and articles as fast as they can. I find this all rather fascinating because I have known about Planet X and Nibiru from research I did years and years ago through books and other sources. Frankly I never needed to see a picture or You Tube video to know it was real because the evidence and testimony was overwhelming. And I have told folks many times that there are scientists out there that claim the Mayan Date of 2012 is INCORRECT! In fact there are those out there that say it is off by ONE YEAR. Woah! Yep! They say that the TRUE date of the Mayan “end of the age” event is Dec 24th, 2011. This would mean that all these claims about Planet X / Elenin kicking earth’s behind, up, down and sideways, THIS YEAR, are extremely accurate. This would “make sense” on so many levels I don’t have time to write them all down. 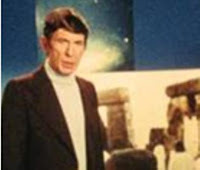 For now I believe it is reasonable to simply publish a transcript of a portion of a Television Show called “In Search Of” staring Leonard Nimoy from 34 YEARS AGO! The title of the episode was “Mayan Mysteries”. The Ancient Mayans, men of knowledge, conceived their time on earth, their cycle of civilization, to be 5,200 years, beginning their calendar August 12th, 3113 B.C. They predicted, that on December 24th, 2011 A.D., a cataclysmic earthquake would terminate their cycle of civilization. New “men of knowledge” would then appear to fight the forces of evil, and lead the people, to create a world government. If the Mayan “men of knowledge” were right, in just 34 years, we may learn the answers to some of the ancient Mayan mysteries. I’m not “wigging out here” because of the 2011 date. I’ve known about that for a very long time. In fact I’m pretty sure I watched this exact “In Search Of” episode, back when it was on T.V. What is CRITICAL here is that the Mayans predicted “NEW MEN OF KNOWLEDGE” would “appear” and “fight the forces of evil” leading to a NEW WORLD GOVERNMENT. This is exactly what Tribulation-Now has been writing about for a very long time. These ARE the Ancient Sun “gods”. The Mayans were “star god” offspring of the Nephilim (from the heavens they came) from back in the Land of Canaan. They arrived in South American as descendants of Ur, Tyre, and the Phoenicians. They are part of the same blood lines as the “blue bloods” of the Reptilian Black Nobility!! Boy these are exciting times we live in today. Praise Jesus for his awesome protection and promises. I cannot wait to “get off this rock” and meet my King. Glory be to GOD! We win this war, we win this battle, and we rule and reign with Jesus Christ forever and ever … AMEN! Remember God is going to cut off access to “His dimension” and “blow this one” sky high. Amen? God will create a New Heaven and a New Earth and I am hoping for a good seat in the Heavenly Amphitheater in Jesus Name. There is NO ESCAPE from what comes upon this earth. Through the glorious SALVATION of Jesus Yeshua our Messiah! If you haven’t already done so, give your life to Jesus now. Repent of all your sins. Ask the Father in Heaven to forgive you. Forgive everyone else in your life for their sins too. Love your neighbor more than yourself. Give your life to Jesus Christ now before it’s too late. GO FOR EVERYTHING YOU CAN GET! 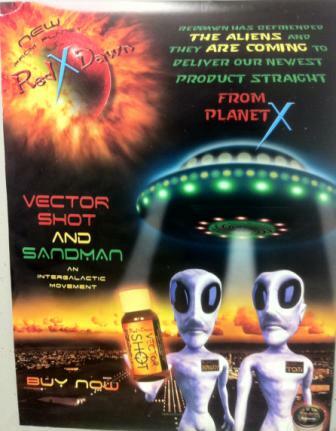 A special thanks to Brian for the cool picture of the Planet X Alien poster. That is amazing. Folks … he took a photograph of that poster somewhere in Georgia along the highway. Amen? Wow. Thank you for sharing. Looks like SOMEBODY KNOWS SOMETHING! The second link here is to the entire episode.